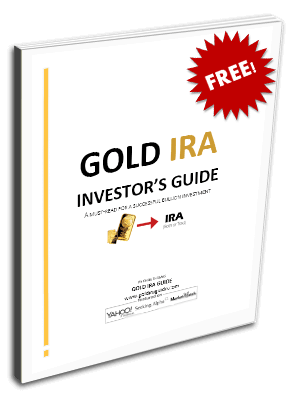 Gold IRA Guide's mission is to provide you all the information investors and retirees need when it comes to precious metal investing. We believe that buying gold & silver through your IRA or 401k is one of the best ways to invest in this asset class, due to the tax-saving component. Whether you're interested in gold coins, pure minted bars, EFTs or stocks in gold mining companies, you will find the information you need on this website to get started on the right foot. Follow us on Google+ now! Gino D'Alessio, author. Gino has over 20 years experience as a Trader/Broker in financial markets, particularly in Bonds, FX, Derivatives and Futures, extensive knowledge of Stock Markets. He also obtained CAIA Charter in April 2015. Peter Fast, author. Peter is a financial analyst that specializes in Macroeconomic trends and market analysis. He obtained a degree in Economics from the University of Manitoba in Winnipeg, Canada. He subsequently worked in the finance industry for many years. His writing has been featured in several online and print financial publications. Would you like to write content for us? We are always on the lookout for talented financial professionals with a passion for precious metals and retirement investing. Use the contact form to submit your application along with an article idea. We are always open to publish quality posts about investing, precious metals and finance in general. As long as your article meets our quality guidelines, we will post it within a few days and share it on all our social media profiles.